A professional development workshop on Mexican paper-cutting led by master papel picado artist, Margaret Sosa. Papel Picado is the Mexican folk art of cutting tissue paper to create banners used for festive events or to adorn altars. The tradition of paper cutting is practiced by many cultures around the world, and the papel picado tradition has a long history in Mexico. 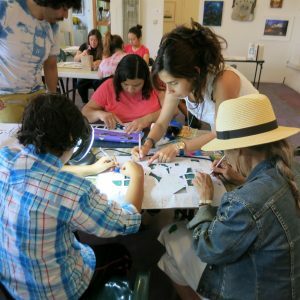 In this four-hour workshop, participants will learn how to fold and cut tissue paper with scissors to create distinctive banners. In addition to different folding techniques, participants will use printed patterns to cut more intricate designs. A brief history of papel picado will also be discussed, from its Pre-Columbian origins to its contemporary uses in Day of the Dead altars. Participants will be provided with patterns suitable for different grade levels that can be reproduced for classroom use. All supplies will be provided and no previous art experience is necessary. 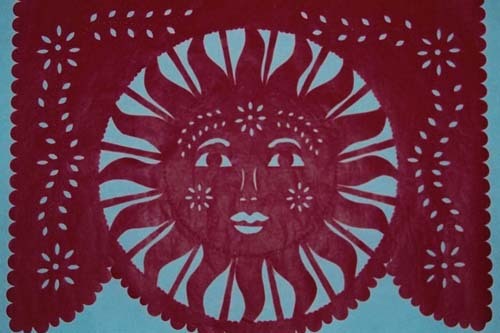 Margaret Sosa has been working as a paper cutter in the Mexican style known as papel picado for over 25 years. She learned the art form from master paper cutter, Olga Ponce Furginson, serving as her apprentice for many years. 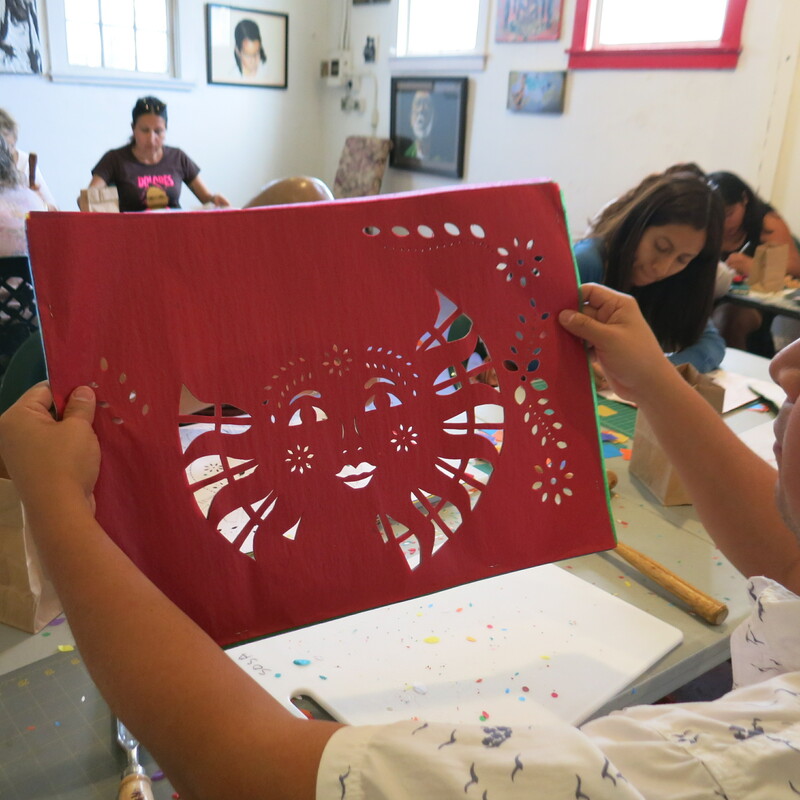 To further her skills, Sosa traveled with Olga to Mexico to meet Mexican papel picado artists. Margaret’s work has been exhibited in galleries and museums throughout the Los Angeles area, and as far away as Glasgow, Scotland. 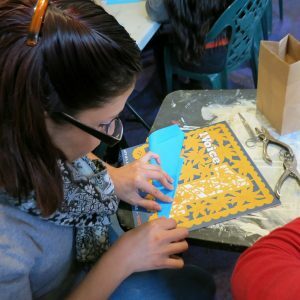 She has received countless commissions for her work and several master artist grants to teach papel picado. Sosa worked for over 10 years at Self Help Graphics in East Los Angeles and is a graduate of California State University Los Angeles, where she received a Bachelor of Arts degree in studio art. Margaret lives in Los Angeles with her husband; she has five children and ten grandchildren. Open to K-12 educators from all disciplines. Most suitable for elementary and middle school teachers, however, high school teachers may also incorporate the information and paper cutting techniques into their curriculum. This project has been made possible (or, made possible in part) by a grant from the Alliance for California Traditional Arts, in partnership with the Walter and Elise Haas Fund,the William and Flora Hewlett Foundation, and the Surdna Foundation. 3 generations working on one piece together.